It's called leaving no stone unturned. 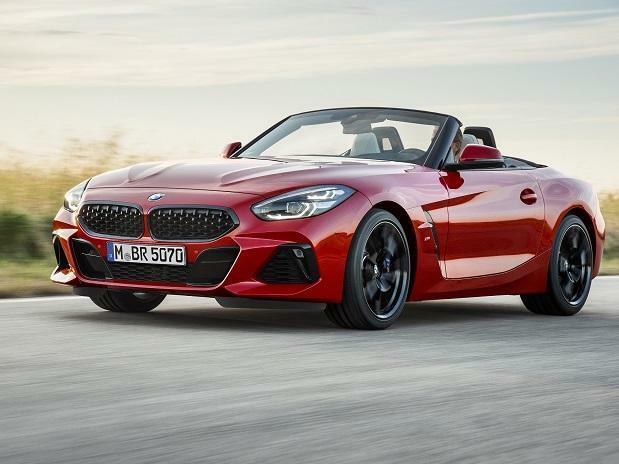 While sports cars, coupes and roadsters are almost always brand builders and not volume generators, the latest offering from BMW India's stable, the Z4 roadster, gives sports enthusiasts who are limited to options that include Porsche Boxsters one more choice to pick from, and a car-maker yet another niche to exploit. The all-new BMW Z4 Roadster, which is its only convertible, has been launched as a completely built-up unit (CBU). Dr Hans-Christian Baertels, President (acting), BMW Group India said, “BMW has a history of roadsters which have delivered pure driving pleasure and the new Z4 stays true to that DNA." The car comes in two petrol engine options and prices range between and Rs 65 lakh and Rs 80 lakh. Sharad Kachalia, director with Navnit Motors, says "Full-grown sports cars like Lamborghinis and Ferraris are simply not made for everyone to drive because they are so low-slung. For senior people it is not easy to bend that low." The Z4 on the other hand is easier to jump in and out of and with its lower price is also a viable option for younger buyers who aren't ready for a Ferrari. Historically, with cooler temperatures, Punjab and the NCR have been strong markets for convertibles but with an automated feature that takes just 10 seconds to open and set up the top, dealers expect the car to be suitable for all-weather regions. Similar convertibles include Mercedes-Benz's SLC 43 AMG and Porsche's 718 Boxster, and analysts who track the sector say that the market is small ---with sales of some 150-200 units a year --- but has a powerful brand-building impact for the other cars in the manufacturers stable. Typically, the convertible customer is someone who is already a customer of premium cars, says Infinity Cars Managing director Pooja Choudary, adding that in the past ages of buyers have been between the ages of 35 and 55, and are entrepreneurs or senior executives at large corporations. "Of course, its an emotional purchase as opposed as to a functional requirement for the consumer in the case of convertibles."